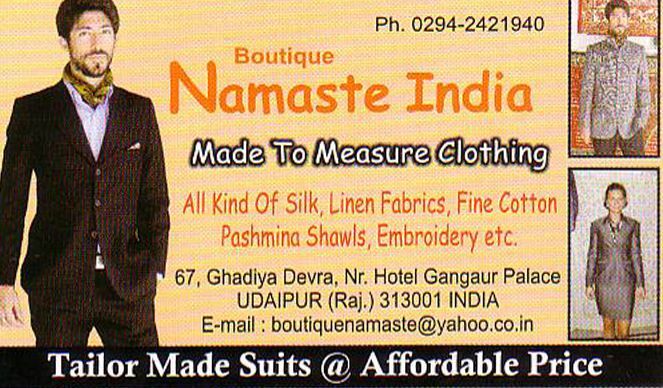 Namaste India is one of the best gents boutique in the udaipur. Satisfying lots of Indian people and tourists, it has set a quality statement in its kind. They provide tailormade suits at the most affordable price.